We're provided with a live look at the player exclusive "Black Denim" LeBron X by Nike Sportswear. Stickie213's latest video provides us with our most detailed look at LeBron's Nike Sportswear player exclusive, revealing unique features such as a fully-padded collar and Nike+ capabilities for on-court use. 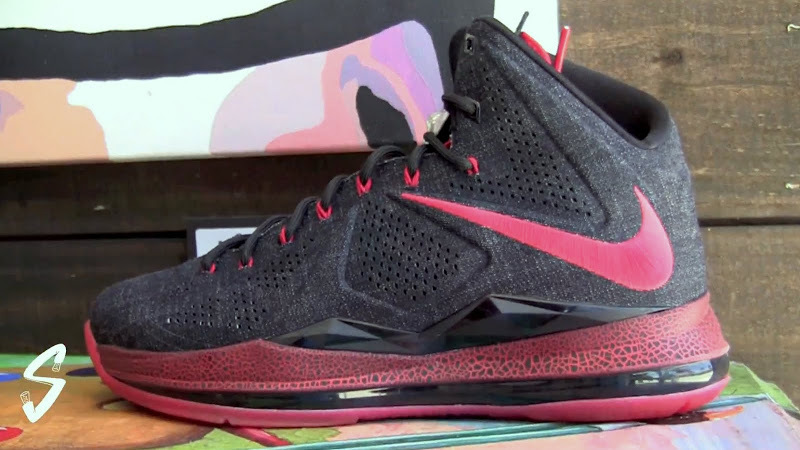 The luxurious LeBron x features a full black denim upper and red stitched Swoosh logos. The clean look is continued with a crackled graphic along the midsole, and is finished off with a matching outsole in red. The "Black Denim" NSW LeBron X is not expected to hit retail. Get a detailed look in Stickie213's latest review video below.